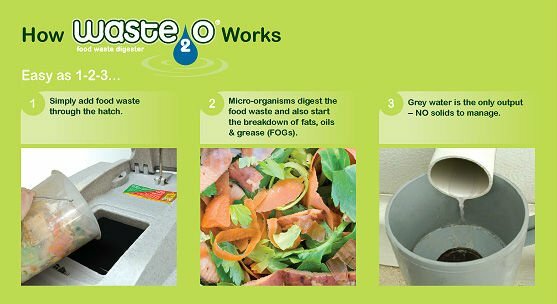 Digest Up To 180kg of Food Waste To Grey Water in 24 Hrs. 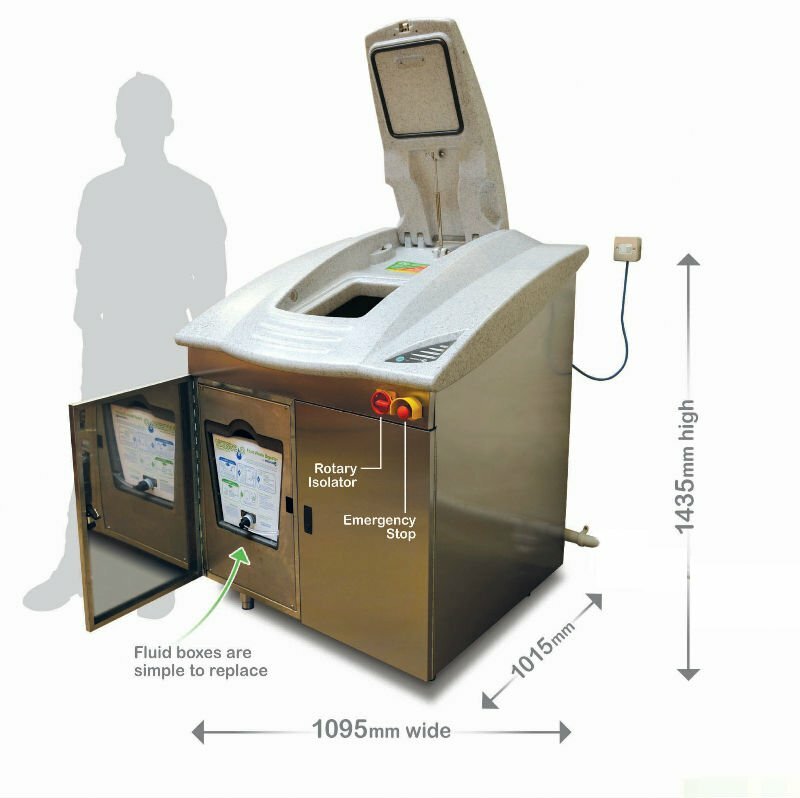 The Waste20 food waste digester is built out of high-quality, stainless steel with a moulded MDPE top. Food is added to its chamber via the top opening. The main food chamber has a horizontally mounted shaft with paddles which rotate to mix and aerate the contents and help to break up the food. The chamber also contains wood chips. 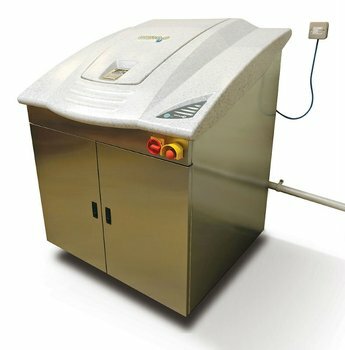 These act as an aerating medium and breeding ground for the specially selected bacteria.